FORT WORTH, Texas --- The F-35 Joint Program Office and Lockheed Martin delivered the 300th production F-35 aircraft, demonstrating the program's continued progress and momentum. 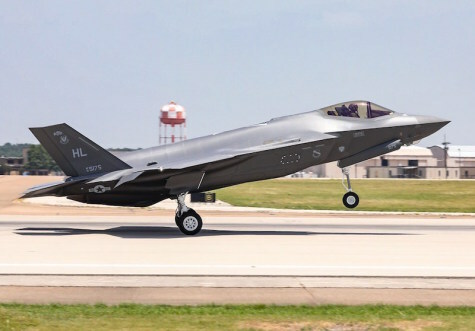 The 300th aircraft is a U.S. Air Force F-35A, to be delivered to Hill Air Force Base, Utah. -- The price of an F-35A has come down more than 60 percent from the first contract. -- Touch labor has been reduced by about 75 percent over the last five years. -- Production span time has decreased by about 20 percent since 2015. (EDITOR’S NOTE: All 300 F-35s built to date are Low-Rate Initial Production aircraft, and as such are some ways from meeting contractual performance. Of this total, nearly 200 are fitted with Block 2B or Block 3I software (108 US Air Force F-35As; 53 Marine Corps F-35Bs and 28 US Navy F-35Cs) which only allows them to perform basic flight sorties and to launch basic weapons, such as AIM-9 and AIM-120 air-to-air missiles and some laser-guided bombs. Most of these early aircraft can only be used for training unless they go through an expensive upgrade, and the US Air Force is not sure it will have the money to upgrade its 108 F-35As.